Hollywood hath given and Hollywood hath taken away. On Tuesday, the Beachwood Canyon access point to the well-travelled Hollyridge Trail will be shut down because of a horse ranch or something. While that truly is awful, the end of the Beachwood gate isn’t the end of hiking to the Hollywood sign. There are several other ways to get to up to the hillside landmark. Though there’s no parking at the end of Deronda Drive or on nearby streets, you can easily take a Lyft to one of the easiest access points to the Hollywood sign. A timed lock opens the gate from sunrise to sunset, and you can follow Mt. Lee Drive up and around to the sign itself. Hollyridge Trail is the trail that you think of when you think of hiking to the Hollywood sign. It’s the trail that we all—until now—accessed via Beachwood Canyon. Though that gate has been blocked off, you can still access the trail via Canyon Drive to the east where there’s even a little parking lot. From there, there’s a narrow trail up to Hollyridge, but be warned, it’s crazy steep. If you’re not down to brave the scramble up to Hollyridge from Canyon Drive, you can embark on a more roundabout, more relaxed hike via Brush Canyon Trail. Walk up Canyon Drive until it turn into a dirt road. When you hit Mulholland Trail, you’ll swing a left towards the Hollywood sign. This one’s about the same length as the Hollyridge trail, but with an extra 125 feet of elevation gain, it’s brutal on the quads. If you’re looking for a less crowded option that you can still manage on a Saturday morning, though, this is it. 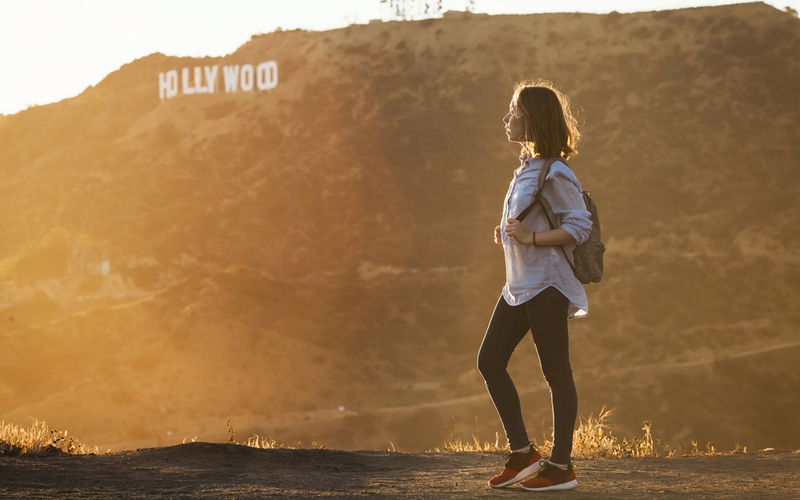 If you’re ambitious, you can hike to the Hollywood sign from Griffith Observatory—but just realize you’ll have to hike over Mount Hollywood and then up Mount Lee to get there. Pack a lunch. Previous articleNew Website Answers Age-Old Question: Is Trump at Mar-A-Lago? Next articleCan California Turn Its Soul-Crushing Traffic Into Renewable Energy?